Nick explains why he isn't a fan of Power BI's R visuals. 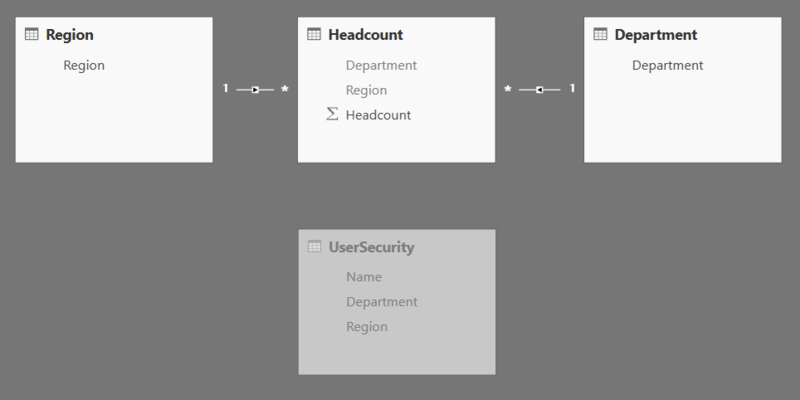 But the alternative is loading data via an R script and display it in a native Power BI visual. I specially liked his neat technique of unpivoting data with R to end up with a key-value pair. This gives him the possibility to easily slice the final scatterplot by the keys of the key-value pair, which were the attributes (columns) in the original data set before the unpivot action. Daniil has a nice solution for solving a problem with dynamic RLS for a security table with 2 attributes, e.g. Department and Region where several users have "ALL" configured for 1 or 2 attributes. For example, the CEO can see all departments and regions, but the CFO can see all regions but only the Finance department. He introduces an unrelated UserSecurity table and filters the facts and dimensions by this table. Brent and Erik put themselves to the test and passed gloriously: they sold out all the 360 seats in their pre-con. Brent gives a look behind the scenes how they pulled it off and what they did to get it sold out: write a blog post, online presentation, email announcements and give more value to the attendees with stretch goals. If you aren't attending any of the pre-cons for Pass Summit you can go to this FreeCon. It's held on Tuesday, October 31st, with 6 sessions from different speakers: Jason Brimhall (@sqlrnnr), Louis Davidson (@drsql), Andy Leonard (@AndyLeonard), Jimmy May (@aspiringgeek), Gail Shaw (@SQLintheWild) and Wayne Sheffield (@DBAWayne), an impressive lineup I'd say. Among the topics: SSIS Framework, SQL Injection and Parameter Sniffing. You can register here. Adam, Group Program Manager Power BI, has put together a list of the most common questions they heard from customers to provide guidance that can help as a starting point when assessing licensing options. 7 very talented people from the SQLFamily got together and wrote this book as a start of a series of books: Melody Zacharias (@sqlmelody), Cathrine Wilhelmsen (@cathrinew), Jennifer McCown (@JenniferMcCown), Mindy Curnutt (@sqlgirl), Rie Irish (@IrishSQL), Kathi Kellenberger (@auntkathi) and Meagan Longoria (@mmarie), with a foreword by Kevin Kline (@kekline). You can get the book on Amazon. The purpose of this series is to help others succeed. The authors have all ridden the elevator of success to the top and received their MVP awards to reflect that fact. Now it is our responsibility to send that elevator back down so others may benefit from our experience. As an indication of our intent, all profits from the sale of this book are to be donated to charities. I hope you can get something useful out of here, feel free to let me know if you find other useful links that I should include next time!